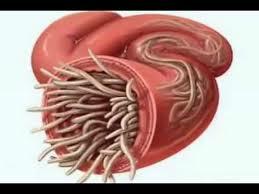 Parasites in the human’s body are not a new phenomenon! 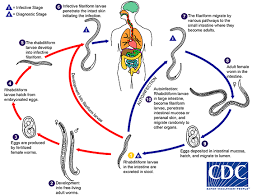 Parasites are nature’s garbage collectors! When we don’t look after ourselves our body starts to deteriorate and we start to pick up fungus and parasites, which are living organisms within the body. After working in the health and fitness industry for the last 20 years many clients have suffered from either a fungus overgrowth or parasites. 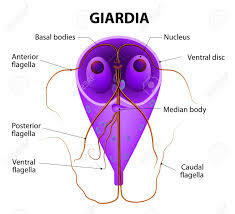 Parasites can cause abdominal pain, acne, adrenal problems, arthritis, athlete’s foot, bad breath, bloating, brain fog, burning tongue, chronic fatigue, constipation, and cravings to name just a few! We all need to have a certain amount of fungus and certain types of parasites, but you only want the useful ones, not the harmful ones. Unfortunately, if you are drinking alcohol and eating too much sugar then the chances of you having too many parasites and fungus is high. This takes the body totally out of balance and weakens the immune system. Here are some of the common parasites I’ve seen: Giardia, Candida, H Pylori, Ringworm, Hookworm, Toxoplasma from pets, Blood flukes and ameba. If you are suffering from any of the above symptoms then you are likely to have at least 1 of the parasites listed. I’ve had clients that have had 5 parasites, it made them feel so ill and every time she visited the doctor they told them there was nothing wrong! Finally, when she comes to see me I gave her a number of lab tests to find out what was going on and then designed a protocol to get rid of the parasites and fungus. Unfortunately when you have tests done in the doctors, they don’t look deep enough! Most probably because the surgery is trying to save money! So when a client comes to me and I have to do lab testing, it can become quite expensive, but it gets a result! If you are suffering from bad skin, bad body odor, can’t sleep at night, are generally irritable or suffer from mood swings. Or, have unexplained pain and don’t feel your usual self. Or, have unwanted gas or belching, jock itch or white toenails, then help is here. With a general doctor only being able to spend 5-15 minutes to listen to your issues and then to prescribe you a drug, this system really doesn’t work. By seeing a C.H.E.K practitioner like myself, I may spend up to 20 days working with you before I design a good program for you to get fit and healthy again. If you are looking for help with this and would like to know more about my parasite cleansing regime then get in touch today!